Ezydek 44 Decking Sheets is a zinc-coated steel sheet that acts as a permanent formwork and provides a strong working platform during slab construction. The trapezoidal shape enables faster construction and ease in overlapping during installation. 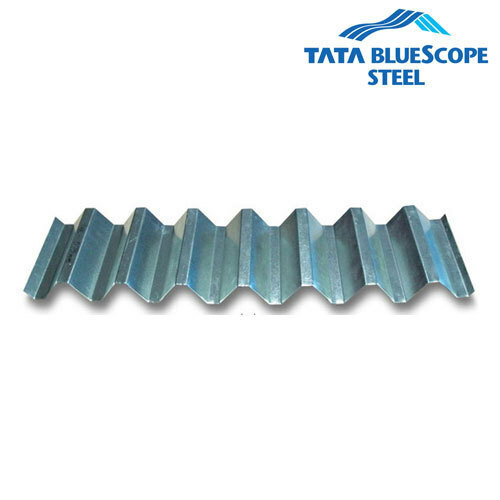 It acts as a permanent shuttering solution and provides simultaneous casting of multiple floors. The EZYDEK™ 44 sheet is available in customised lengths & material choices to meet customer specific requirements. The EZYDEK™ 44 profile is a steel decking system for concrete, masonry or steel frame construction and is suitable for applications in industrial, commercial and residential segments.